Grape-Nuts is a great crunch cereal and healthy to boot, but it suffers from lack of flavor in a bit way. More of what I would consider a mixer cereal, like something I would use in my yogurt in the morning. Well it looks like Post is trying to change that by introducing Grape-Nuts Fit. 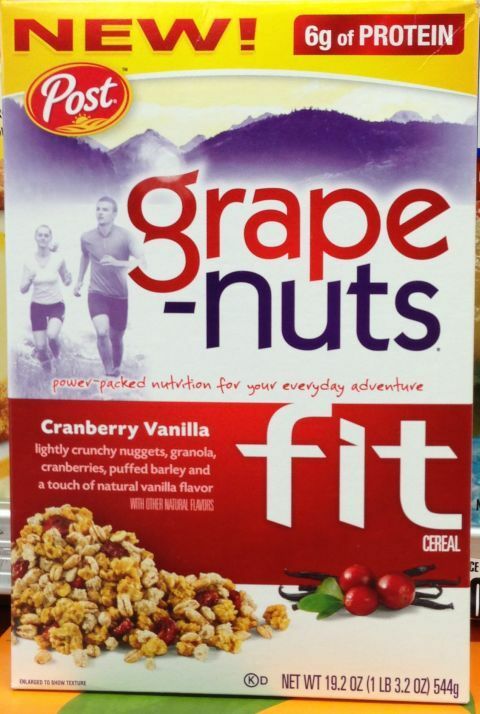 Grape-Nuts Fit Cereal is a cranberry vanilla flavor cereal with some granola, cranberries, puffed barley thrown into the mix. Add 6g of protein to the equation and we may have found a cereal that has a great crunch and may taste good as well. Also Grape-Nuts is a cereal that has a lot of iron in it, so make sure you are aware of that. A cereal that will leave you satisfied and feeling happy! Great combination of tastes and textures. Light and healthy. One of my favorite cereals of all time! I love love LOVE grape nuts fit but can no longer find it. What’s up?